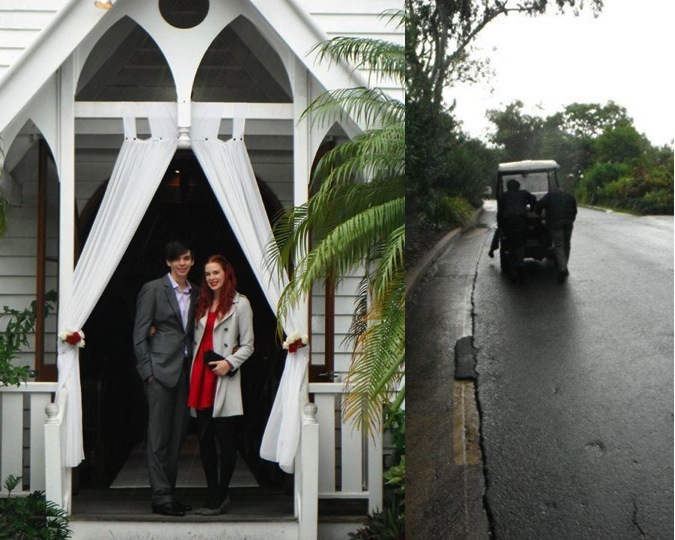 Early in the year I visited romantic Hamilton Island for a family member's intimate and charming chapel wedding. I was looking forward to a week of relaxation, sunbaking and book reading but it turned out to be one of the most active and exciting mini-breaks I've ever been on. Even the mode of transport used by guests to travel around the island is exciting. It is not every day you get to drive with the wind in your face and your hair gushing out the back of your very own golf cart. We even used the golf cart to transport our party of six (two trips of course) to the wedding… and then pushed it home again after it ran out of juice. 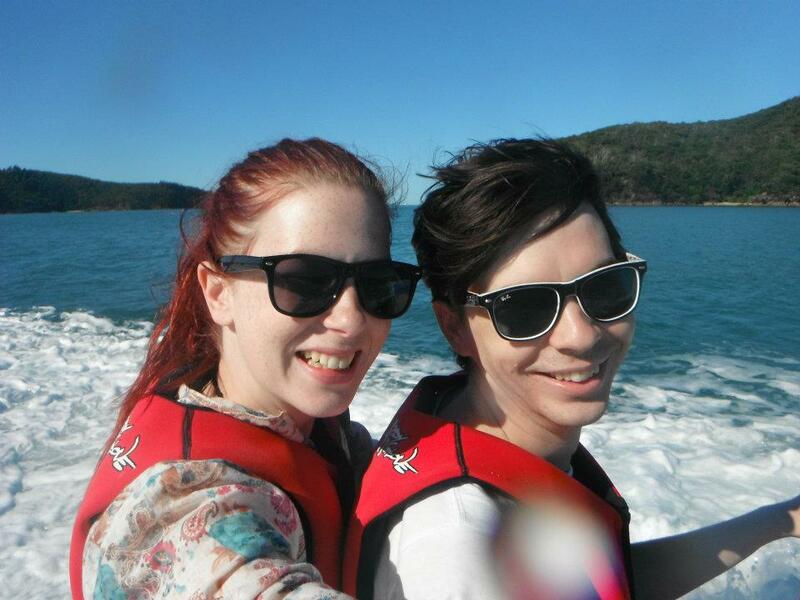 Once we had recharged, we drove to our next mode of transport, the always-exciting jet skis! The four of us donned our life jackets, split into pairs and jumped aboard. We began slowly, taking our time to perfect our technique, but soon we found ourselves zooming around the open water hoping for a boat to come by so we could jump its wake. Our lovely guide would stop us occasionally to point out interesting landscapes like the gorilla shaped rock poking out of the water, or the hills of a very fancy golf course (also available for those so inclined). He even took us to a completely private beach where we searched for turtles and took a dip in the clear calm waters. Although we weren't so lucky, apparently a whale spotting is not an uncommon occurrence for some riders. Next we drove our golf cart to the base of Hamilton Island's only real hill (not sure it makes "mountain" requirements) and met our guide for our next adventure. 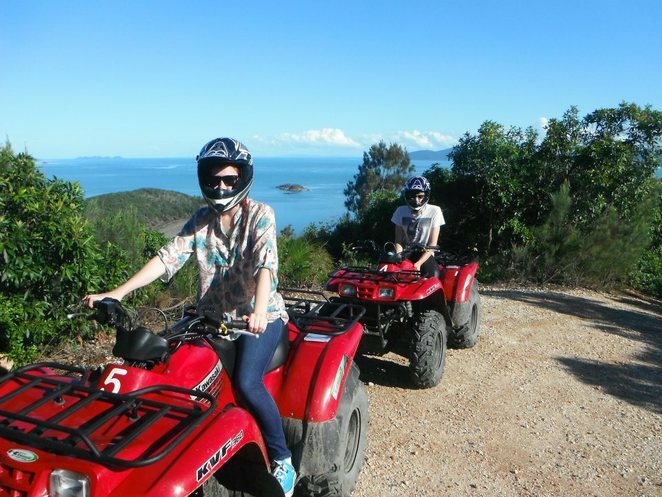 We jumped off our cart and onto a couple of quad bikes. We were the only people signed up for the tour so they two of us had our very own guide who led us up the rocky incline to Resort Lookout. Here we enjoyed 360-degree views of light greens, dark blues and every sparkling colour in-between. After soaking in the view our journey continued down into Coral Cove and after 45mins we departed our guide feeling exhilarated and dying for more… and more we got! Next our little golf cart took us down to Catseye Beach where we met the rest of the family and between the five of us we tried out stand-up paddle boarding, kayaking, snorkelling and even a bit of wind surfing. It was a lot of fun racing each other around the bay to find the ultimate kayaking champion. It was perhaps even more fun trying to push each other off the paddle boards and into the cold ocean waters. We were there for only a week and certainly didn't try everything the island has to offer. 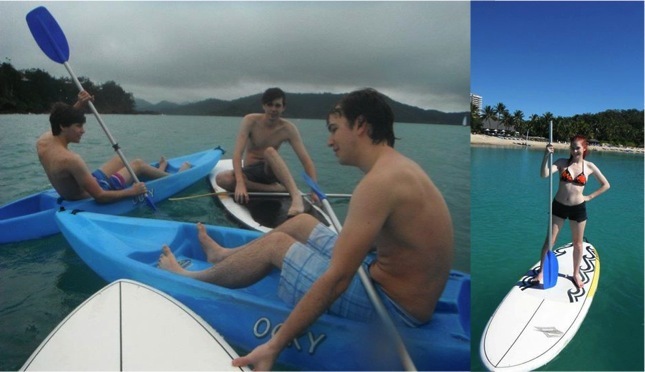 It may be small but Hamilton Island is anything but boring. Wow, I love this article!! And you guys look like y'all had an amazing time!